If only Lola Dunne had the time and the courage she d write her novel, and maybe even start dating again. 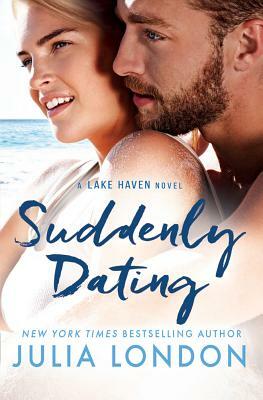 When her friend offers the use of her summer home overlooking Lake Haven, Lola sees the chance to focus on herself for a change, and she eagerly accepts. Engineer Harry Westbrook is waiting for his ship to come in. But it's not happening soon enough for his girlfriend, who's left him for good again. To nurse Harry's heartache, his pal extends an invite to his lake house in East Beach. When it turns out that Harry's and Lola's friends are a divorcing, not-on-speaking-terms couple sparring over the same house, the strangers find themselves accidental (and reluctant) roommates for the summer. They agree to make the best of it, even posing as a couple to mingle among East Beach's well-heeled crowd. But the ruse is starting to feel real and romantic. Are they brave enough to reveal their feelings before the summer nights turn cold?